The user interface has been designed from scratch to suit the modern Android experience. The result is a clean, dynamic and concise app that will make your friends envious. We love our Nexus 7 and 10, perhaps a little too much. As a result, we’ve improved the tablet design. All of Pocket Weather’s features are optimised for larger devices. In Pocket Weather 4.0, you can choose which observations appear on the main overview page of the app. You can also rearrange the order of the sections. If your phone supports it, you can read the temperature, pressure and humidity via your device’s sensors. We’ve re-thought how tides work in Pocket Weather. In 4.0, they’re treated as a location, are faster, look nicer and are all round better. So whether you’re new to Pocket Weather, or you’ve been with us since version 1 there’s no better time to grab the update . 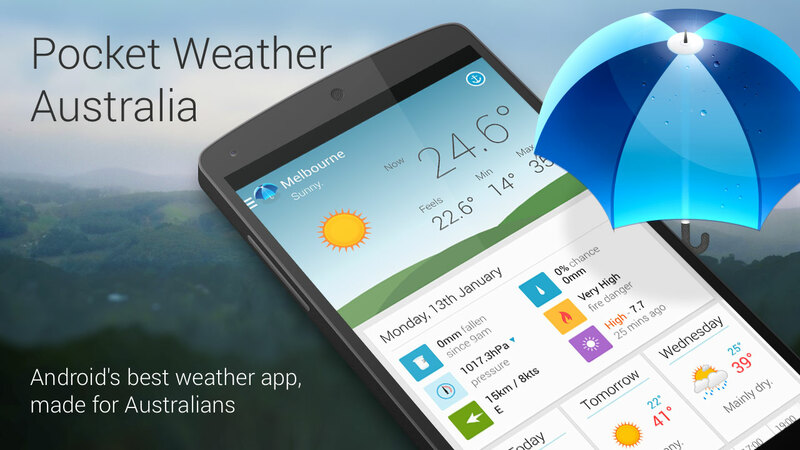 ← Pocket Weather 4 is here!